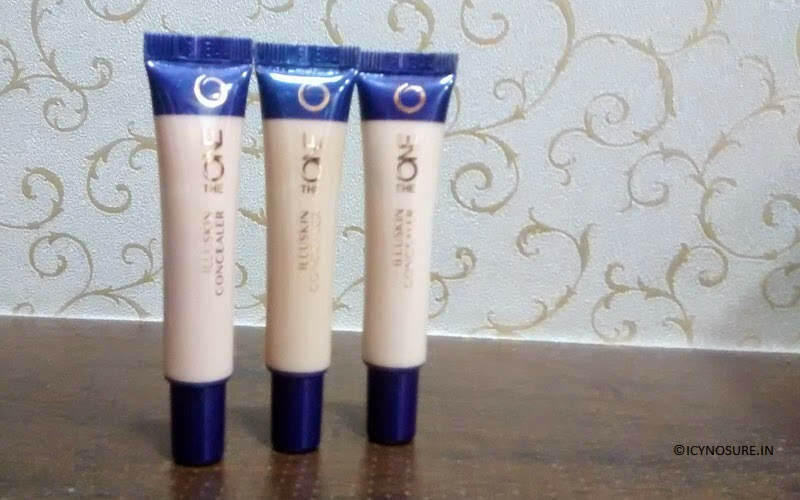 Just a few days ago the wonderful folks at Oriflame invited a few privileged bloggers, including myself to experience their new range of products, The One. 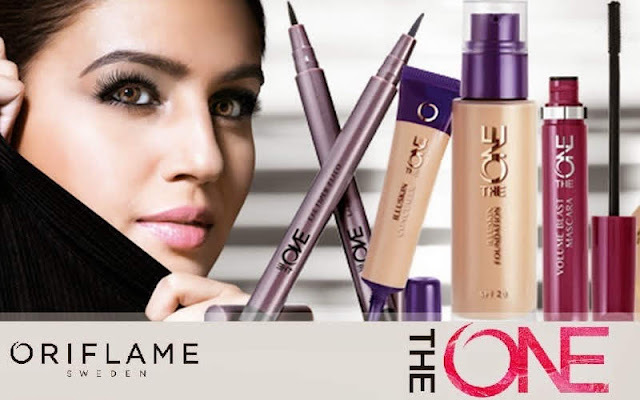 Inspired by the way one lives, Oriflame has created new must-haves that we shall simply fall in love with, hand-picked keeping in mind the latest fashion trends and expert advice from the professionals. As soon as the products arrived home my excitement knew no bounds and off I went exploring each and every item one-by-one. 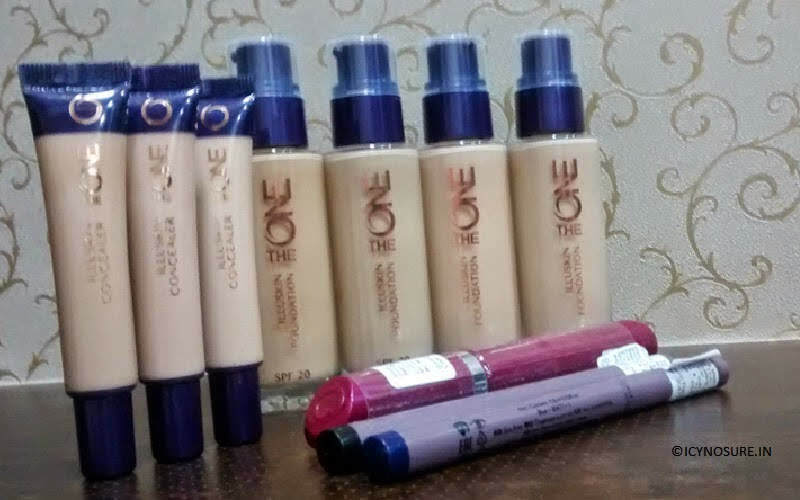 Surprisingly I received the newest October launches from the range, The ONE IlluSkin Foundation and Concealer, The ONE Volume Blast Mascara and The ONE Eye Liner Stylo. The range promises to offer everyday solutions to transform your makeup routine from high maintenance to effortless with a high-impact innovation along with guaranteed long wear. So there we go - a little look at the new Oriflame ‘The ONE’ collection! 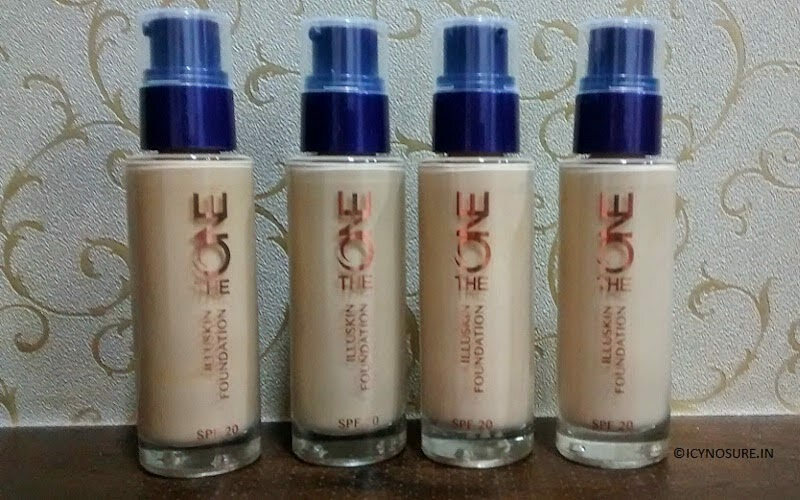 Let start with a product that will give us a luxurious skin tone, the ONE Illuskin Foundation and Concealer in a variation of shades. I really like the foundation, the consistency is smooth and creamy and with SPF20, it’s sure to be a huge hit to combat the Indian weather. The Illuskin concealer too is creamy and not very heavy on the skin. The products smell amazing and radiant glow in the colours ensures a match for all tones. The ONE Volume Blast Mascara is spectacular. Backed by the Bold Boost Wax System the mascara ensures a rich creamy consistency for volume and application. To add to the high volume, the product also contains conditioning actives to hold moisture and Vitamin E to provide nourishment. A must buy for every woman. The ONE Eye Liner Stylo has been innovated for amazing precision, intense coverage and long-lasting ability. Intensely pigmented to deliver rich colour the soft tip ensures smooth and clean application and is ophthalmologically tested making it suitable contact lens wearers. I can't wait to create some great makeup looks with these. Any of these products caught your eye?